Is Your School Ready for BYOD? 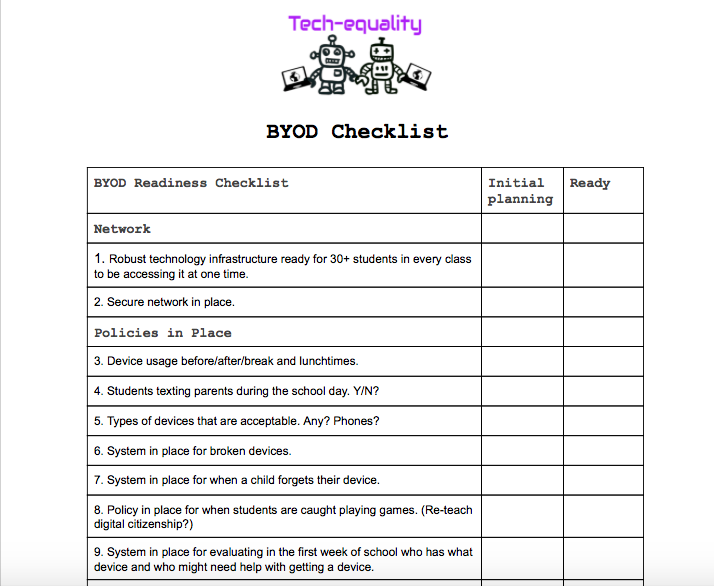 WARNING: Complete checklist before attempting to launch BYOD at your site! 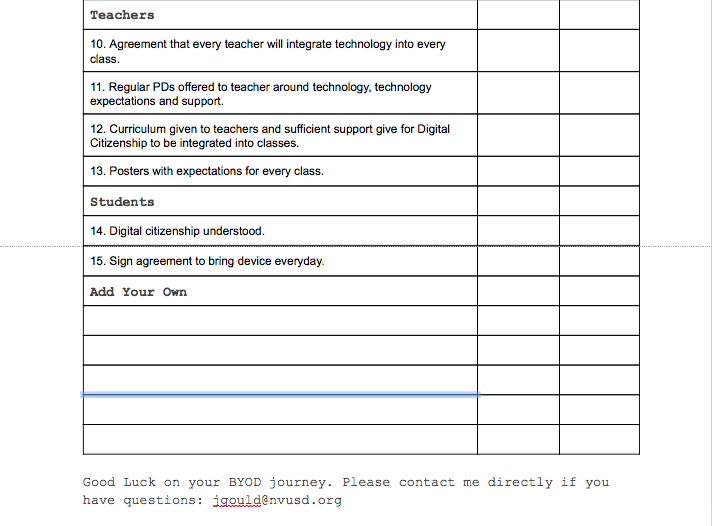 Integrating BYOD or 1:1 in your classroom is essential in order to fulfill Common Core State Standards. to be taken to the California Department of Education, CCSS page.